SALE: World Wonders's Featuring at App World's Carousel for $0,99! Attention! FREE version of WONDERFUL PROVERBS is available. 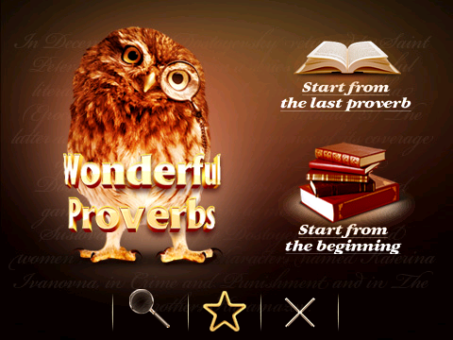 Wonderful Proverbs is a premium application that will inspire and enlighten you. This collection is filled with wit, wisdom, and insight that you can use every day! “Beware of Greeks bearing gifts”. “Don't count your chickens before they are hatched”. “Never let the sun go down on your anger”.